Build quality is ridiculous 64lbs each! Hi-fidelity sound reproduction Large full soundstage , don’t even need a sub. People always say how bright these are. I would say that I have heard them lots and they never stood out but I took a chance on a set for myself. I have them bi amped with a BK Reference 200.2 for the highs and another identical amp for the lows. I'm using an biamp tesira forte to handle eq and crossover duties and its feeding a BK Reference 50. I primarily listen to spotify on the highest quality settings and I'm using a Meridian explorer 2 from my dedicated laptop. These speakers come alive on this gear! I couldn't be happier and they are not bright or harsh anywhere. I should also add that I am a professional audio specialist but I have never ever had the time or the place to set anything like this up before for myself. Its stirs the soul and I am sure these speakers are as good as speakers costing double their price. Other than their size and weight of you have to move them, I would have to say their biggest flaw, isn't a flaw but more a characteristic is that they are very picky about positioning. Distance from the wall, distance apart and angles cannot be off by a hair. When I was done with the setup, I realized there is only one seat to listen from so I sit there in the middle all the time. If friends come over, I insist they sit there. They rock and of you heard them and dodnt like them, O would have to say me too! I knew a guy with a parasound halo preamp and a couple of halo amps running those and it was lifeless and cold at best. Anyways, I hope this helps someone! Firstly, I'll take the liberty to correct teh speaker desription - They are actually Aluminium injected polypropylene drivers, not Aluminium, except for the tweeter of course. Now, anyone who has had the misfortune to partner these with the wrong electronics and or cables (Whatever they may be, I've had a number of different components and cable combinations since buying these speakers, all sounding great) is naturally going to post an unfavourable review about these speakers, but have been an audio enthusiast for close to 30 years, and working in Hifi and audio visual for 17 or so, I can tell you there is not a speaker that comes close to the overall performance of these anywhere near the money. - Quad 99 Power Amp - Which at 90watts per channel, drives these far better than the 200 watt x2 Rotel , and the 100Watt Rotel mono's I used to have - So dont let anyone tell you these NEED over 100 watts, they just need GOOD amplification - I can play car sub test discs thru this setup to rediculous levels with no clipping or distortion, and I dont know how much louder it goes, my ears tend to give out before the system does. - Good but basic run of the mill speaker wire, in a Bi-Wire configuration - Currently shopping for new speaker cables. - Treble, well I think I saw someone saying it was agressive... WTF !!! I do believe its your equipment and/or cables doing that my friend, the treble on these speakers with all the combinations of equipment I've used on them has been anything but. It has always been very smooth and balanced, and when you get that perfect cable combination, sings like an angel, extremely open and airy and with a real sparkle that brings a smile to your face everytime - I stumbled upon a great cable combination with my previous setup, but sold all of the components and cables to make way for the Quad power amp and TEAC cd player. I love the new gear, but I long for my old cable combination :( Hopefully the right speaker cable will make that last piece fall into place for me. If there was a REAL speaker out there that offered better overall performance for the money, please let me know so I can audition it ASAP. Otherwise, if anyone is reading this because they are thinking of buying a pair, if the price is good, go for it, you wont find better without spending many thousands of dollars - $500 AUD for a pair of speakers that could well last me the rest of my life, and sound superb to boot - Bargain !!! 5 Stars all the way, always has been and always will be - My only regret is the ones I bought werent in the African rosewood veneer, that finish was one of the most beautiful I have ever seen on a loudspeaker of any price. I 've been using the speakers Energy Connoisseur C-8 and they gave me plenty of hours with good sound. Now I'm selling the 2 speakers. Price : 500 $ for the pair. Excl. transport & delivery cost. Also the service is very quick and polite. I asked for a manual and had it as pdf withi two days. I bought recently a pair of Energy C-8 and I use them with a carver 400 II power amp and a phase linear 4000 preamp - probabely not the upper class but a good and well listenable equipment. CD Player is an older Camridge Audio player. I listen mainly to classical music and jazz. These loudspeakers are really very well made. They have an excellent soundstage and a fantastic sonic detail resolution. 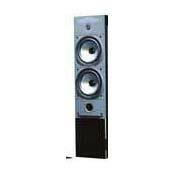 Though they are rather 2,5 way speakers (they do not have a dedicated midrange only loudspeaker), the are extremely homogenous over the whol range. The bass is more then solid, so that certain care should be taken with theit placement. Also they seem to need a power amp that has some reserve of power. When placed a bit away from the walls they sound free and airy - the musicians are just in your room. I dont know what else one needs to listen to good music. I really appreciate this product. se above: freindly and quick. I knew energy would bring back the con. line! The Energy "Sound" . Maybe not the most accurate speaker line on the planet but for real world still my fave! After reading the reviews on this model I thought I would add that to every one running these with a receiver or less than 100 watts of hi-current you are missing out. Although the efficiency rating is quite high the Energy line require current. In a in home test vs Paradigm Monitor 9''s with 70 watts of hi current I prefered the 9''s and was quite disappointed but after going to a more powerfull setup(bi-amping) the Energy really came on really showing the cabinet limitations of the Paradigm. The Energy really needed more power.Granted the Paradigm is a cheaper speaker and for the money is still a good bet. Also I find the bass to be more than enough for music to the point of being too much if not set up properly , ie: far from coners and walls. Lastly I must admit that I prefer the C6 over the 8 as it seems to have a tighter bass and the really deep bass goes to the sub anyway . Also the price paid for these is always important as they were available at big discounts making them a bargin. I bought these speakers about 8 months ago. I am still waiting for them to "burn in". The highs are just too shrill for my ears. The bass is somewhat overpowering if not boomy. Whats worse is that this dominating bass(great for movies) is detrimental to the mids. I think that Energy tried to compensate with the tweeters, which IMHO are just too darn piercing to be useful. I finally put a piece of cardboard over them to make listening bearable. In my room, the C-8's soundstage is non-existant on music tracks. No matter how I position them, the lack of depth cannot be overcome. The biggest thing that they are missing is musicality(is that a word??). Everything sounds one dimensional and a little flat. You have to turn the volume way up before the music gets involving. By that time the booming bass and shrillness is predominant, and I'm ready to turn my system off. I would like to give an overall ranking of 2 but because Bruce Abar will post some sales pitch and give them a five anyway, I will be giving them 1 star. I won't be posting again but I guarantee Bruce or one of his *ahem* followers will. I am not one of Bruce Abar's cronies - and I don't really appreciate his constants posts, but the C-8s aren't nearly as bad as Lloyd Suggests. They are a bit boomy for music (I have the C-6's) but the C-6's require a sub for movies. I recently lucked into the Atlantic Tech 350 THX speakers and the entire set is only 2000 over the internet (1 Sub, Fronts, Center, rears and all stands) and the 350's front's only for music sound much better for music, but the C-8s still deserver at least a 4. I spent several months reviewing speakers in my quest for building a home theater. I chose the C-6s over the C-8s based on price only. On sound quality, I would've chosen the C-8s, but couldn't justify the price. If anyone's interested in C-6s and an RVS Center channel, email garmbrus@excite.com (Houston, TX only - I won't ship). The energy's are good speakers. You can do better for the money but not much better.